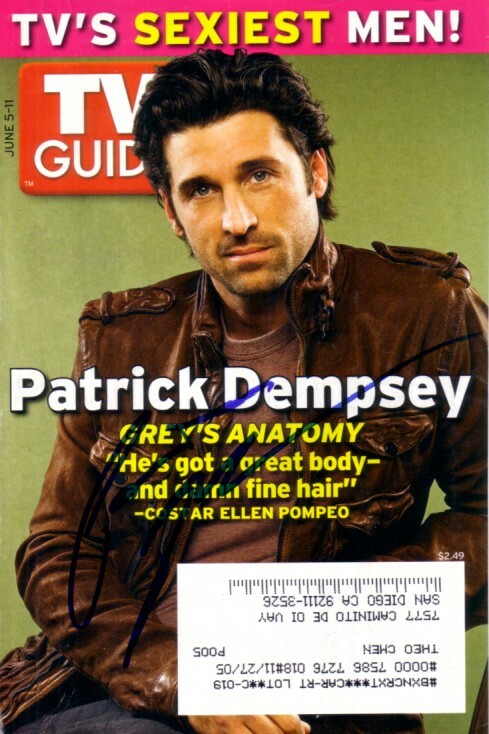 TV Guide magazine COVER ONLY (about 5 by 7 inches) autographed in blue marker by Grey's Anatomy star Patrick Dempsey. Obtained in person at Long Beach Grand Prix several years ago. With certificate of authenticity from AutographsForSale.com. ONLY ONE AVAILABLE FOR SALE.